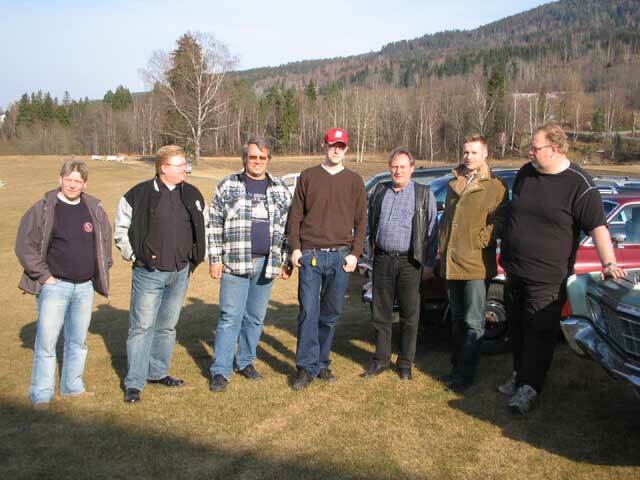 WPC Club of Norway was founded in 1976 and celebrated its 35th anniversary in 2011. The club is affiliated Landsforbundet for Motorhistoriske Kjoeretoeyer (LMK) and does have an agreement on collaboration with AMCAR. The club is open to owners of Chrysler corp. vehicles and persons with a special interest in these cars. The club is ambitious to cover all aspects of the interest in Chrysler and MoPar vehicles; cars in restored or unrestored original condition, MoPar muscle cars, offroaders, customized cars as well as ordinary daily drivers and commercial vehicles. We direct our efforts towards engaging all members to join in the events we organize. The club is run by an executive commitee elected at the annual meeting. These are unsalaried voluntary members. The club has four subregions which covers the counties Oslo/Akershus/Oestfold, Buskerud/Vestfold/Telemark, Innlandet and the Arctic. The club publishes MoPar News, our magazine issued four times a year. Our magazine features varied content with stories from meetings and events, presentations of members' cars as well as free classifieds ads. The club has a few annual car meets: In winter there is a gatherin with an annual meeting open to all members. There is a spring meet and the large summer meet, Norwegian Mopar Nats. In addition, the subregions carry out car cruisings and other gatherings. The club is in a close cooperation with WPC Club Sweden Region, as well as the Nordic 55 -56 MoPar Register. There has been a steady increase in members counting in recent years. Nowadays WPC Club of Norway have more than 650 members. Membership is NOK 350,- / year, and family members only NOK 100,- / year.